Butterflies, it was butterflies that I was after. Good enough that I was finding them here in Rosh Hanikra National Park, at the very northeastern tip of Israel, right at the border with Lebanon. I was also discovering many wildflowers that I had never seen in Israel. Stop and expend valuable slide film each time? And time, that too was limited (always limited in the field). When I noted this extraordinary tower of bloom, I stopped. I’d expect to see such an other-worldy plant, like maybe on Mars. How could I not photograph it? It’s an orchid, No? I have searched my field guides of Israeli Wildflowers, and awaited word from Israel. Well, enough waiting. Without word from expert botanists abroad, I determine that this is NOT an orchid, but a bloomhead of . 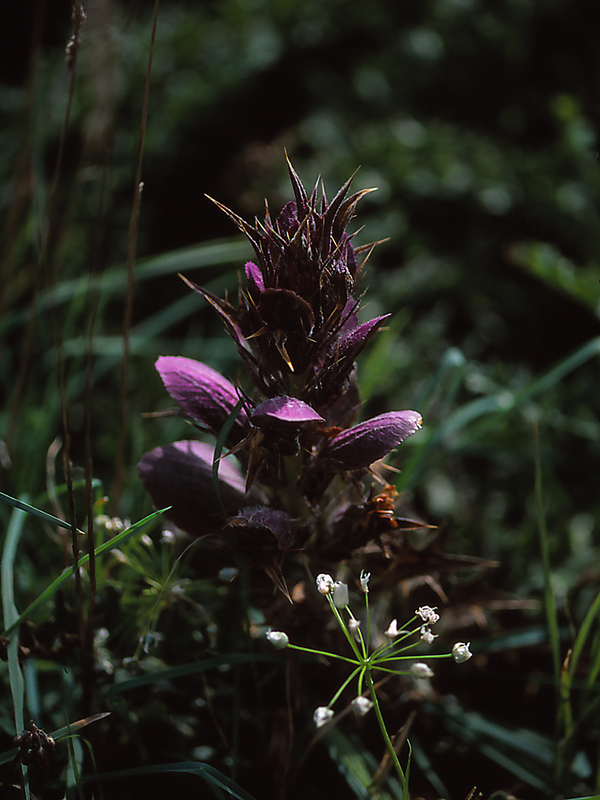 . . Syrian Bear’s Breech (Acanthus syriacus). Different. Reallllly different. I’m telling you, come visit Israel, see the HolyLand, and leave some time to split off and work the OMG! habitats that have awaited your visit for 1,000’s of years. You’ve worked too hard, and this trip is deserved. No doubt about that.